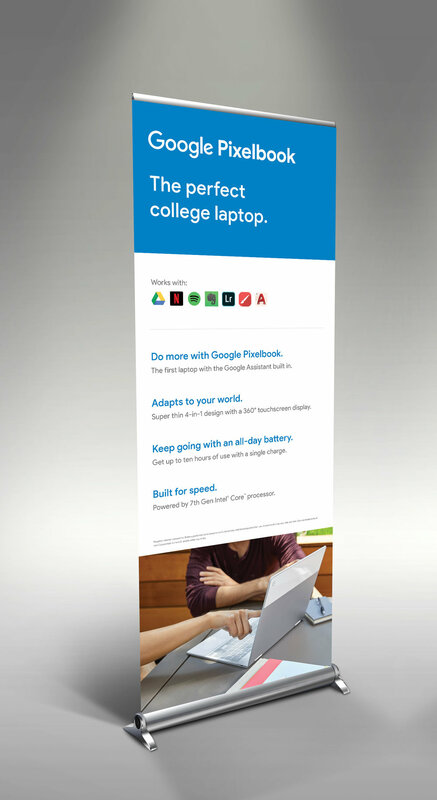 Trade show booth banners for ICBA (Independent College Bookstore Association). I was quick to sync with the necessary cross functional stakeholders, gather assets and iterate just in time to meet the production deadline. This enabled the team to showcase the Pixelbook at a booth that felt high quality and on brand.